Today we will learn to make felt flowers. They are fun and easy to make. 1 – Draw a swirl with in the circle. Quick note to care, make outer layer little thick then inner circle. 3 – Keep folding in circular direction (like rolling) holding in center. Glue and fix the end. 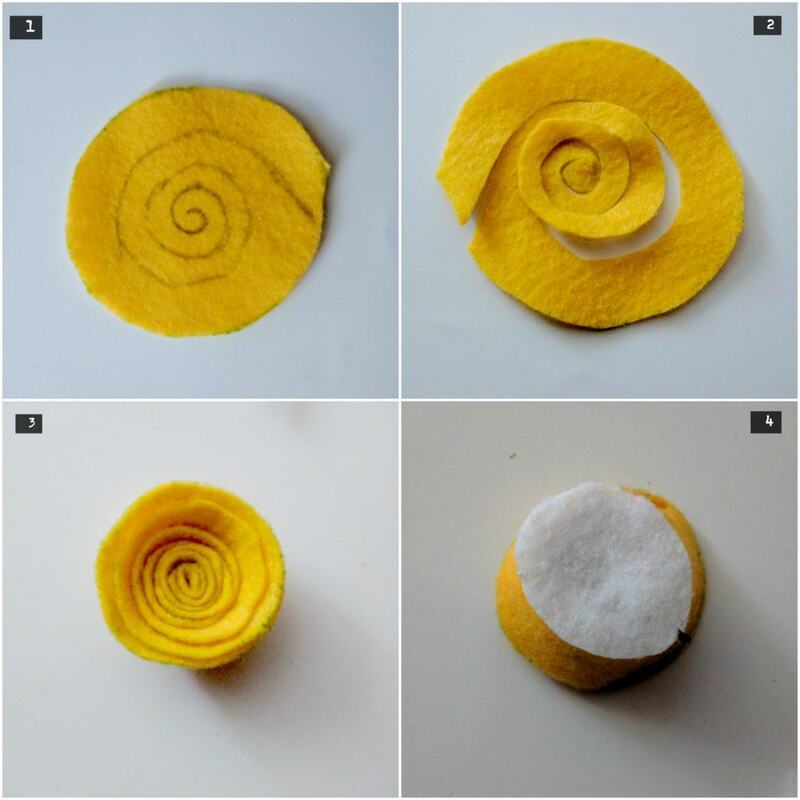 4 – Cut the base (2.5 cm) circle and glue it. This help in attaching the hair pin to the base. You can use these flowers in variety of way which I will share in my next articles. Following might help you in your project ! 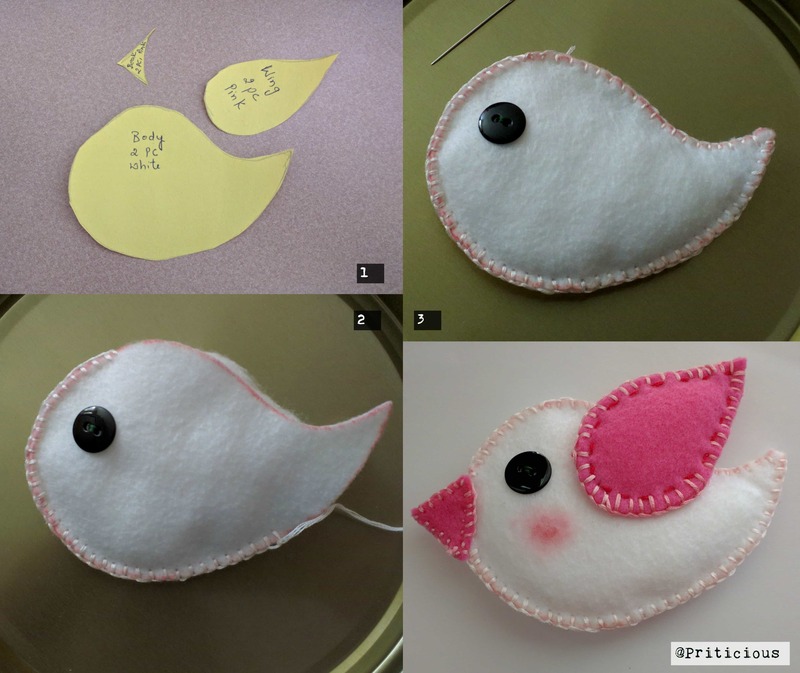 Today I am sharing simple cute felt bird with you. Cut the felt as per the paper cutting. I am using pink felt for wings and beak. Now, start sewing body by following the shape. This is an easy group activity for kids to spend time creatively. Hope you can come up with something more exciting ! Please share your comments. 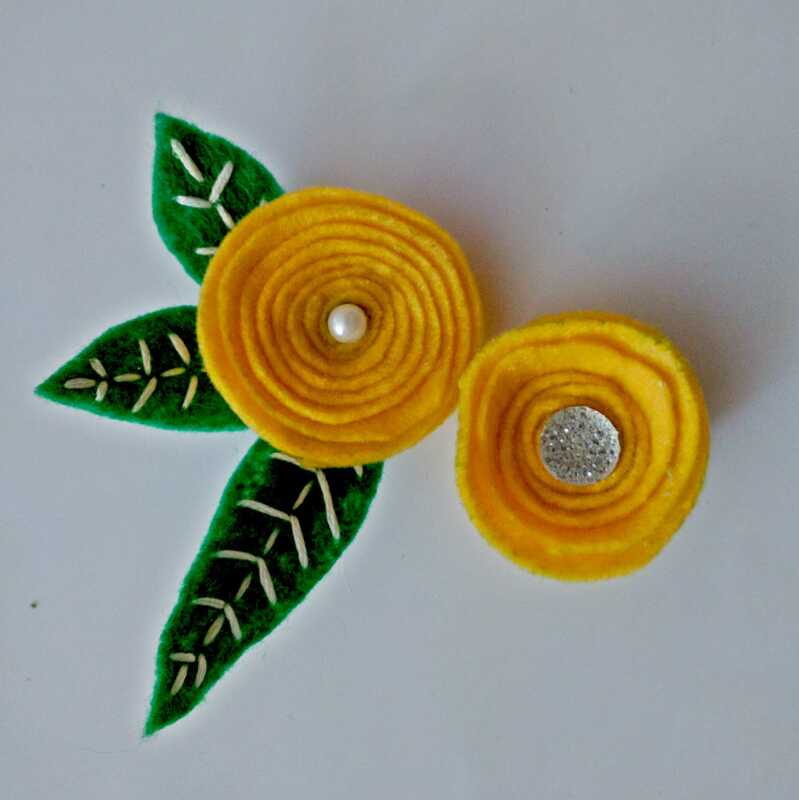 You can also share your links of felt toys you have created would be happy to share on my blog. In case you need assistance please let me know, I will be happy to help.